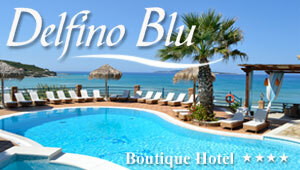 Kavos Corfu: Kavos is one of the most tourist spots in Corfu. This popular resort is located at the southern part of the island, 45km from the town. During the last 20 years, Kavos has been hugely developed and today it is regarded as the top destination for British tourists. The pristine beaches and the night entertainment are all important features that Kavos has become famous for. Lying on the southern coast of Corfu, the village provides an impressive view to the bay. At the wider area of Kavos, there are numerous accommodations for every taste and budget. Kavos is filled with numerous restaurants, shops and bars. In fact, this is probably the most popular entertainment spot of Corfu, with bars and clubs that stay open till next morning. The sandy beach of Kavos is ideal for swimming and sea sports. Many lovely beaches are also found in the area, like Agios Georgios Argyradon and Issos.